So I'm thinking of getting a new to me daily driver. I'm torn between getting something I want: Lr3, Sport, Mark 3 or something with the reputation of being more reliable: Cruiser, Gx470, FJ. Looking around 2006 to 2010. As I have two old rovers, I am aware of how finicky they can be (just put in my third distributor in my Classic in 10 months). I know Jon and Doug got rid of theirs because of problems. Not sure if I want to join the Rover/Toyota club (my brother, Doug, Jon, Duane, etc), but they are generally much more reliable. Thoughts? How hard is it to replace an air bag on an Lr3? Same as changing a coil more or less? Engine issues? I want a Rover, but am thinking about practicality.... Thanks. I have an 08 FJ that is my daily driver. If somebody stole it I would replace it with another one for sure. It is very roomy and rides nice both on and off road. The only negative to the truck in my opinion is the blind spots. Convex mirrors solved it for me but my wife refuses to drive it. As far as the LR3 airbags and such, they're not hard to do at all. 4 bolts and an air line to disconnect, one of the bolts is quite a pain to get out as there is not much room, (third bolt on top towards the engine) you have about 2 inches to work with. 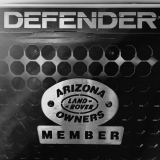 One thing that is essential with the LR3 is the IID Gap tool, it is an OBD2 device you plug in and it gives you access to the many computers involved in making the thing work, reads codes, resets, etc. It is not cheap. Nothing for the LR3 is cheap really, not even gas, it runs on premium and it guzzles it. Not trying to talk you out of it just stating facts, I LOVE mine but it does need more TLC because I tend to use it more off road than now. I only drive 1 mile each way to work each day so it sees more dirt than pavement lately. When it was a daily driver and never on dirt it was also great, just super comfortable and reliable. They are fantastic vehicles for long trips too, mine was great when I drove it out here. I would say to test one in snow if you plan on staying in Denver. I need a bit more practice in snow with it, they don't like to stop very well in snow in my experience. That all said. I learned to drive on a Land Cruiser and grew up with nothing but Toyotas. I love them too. SUPER reliable and capable. Can't go wrong with a GX470. Its essentially a Prado. I wouldn't bat an eye at trading the LR3 for one. I'd do it in a heartbeat. Dave, how does the FJ drive on a long road trip on the freeway? Carlos, I know how much you love your LR3. It says a lot when you would take a Prado! It drives fine both on and off road. 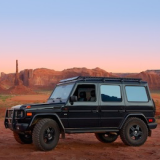 I have driven it to San Diego and Moab with no complaints. So I've shopped around and found a BBB A+ rated used car dealer here in Colorado. 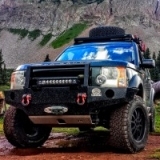 Has an 04 land Cruiser, 09 FJ, and an 07 Rover Sport. Got my financing in order and am supposed to buy the FJ....but the Sports calling my name!!!!! Looked at a Gx 470 but it sold before I could put an offer in. The ones I've seen up here are pretty beat up. Sport would be way nice. But buying the truck is one thing. You'll need an extra financing account to cover the repair costs. They may not be needed too often, but when they are needed, they're very pricey. I'd say available maintenance budget consideration should play into choosing a used car. Comparing the 3 and amount of maintenance and repair being equal, the Sport will, by far, be the most expensive. You may also have limited access to suitable mechanics and facilities to support more complicated work on the Rover. If you're looking for a capable SUV for daily driver and depending the mileage, I go for the Land Cruiser. If you want to include some wheeling with it with minimal mods, go with the FJ. Personally, all things being equal (other than purchase cost), I'd go for the Sport. Hi Glenn, sorry for coming in late. We should have swapped vehicles for an afternoon on El Camino trip. I'm very happy with my LR3. When I started thinking about replacing my 2003 Tacoma Double Cab PreRunner (2WD) with something better suited to exploring offroad trails, my first research was FJ Cruiser. and then Jeep Wrangler Unlimited. The main thing that drove me to an LR3 was price. 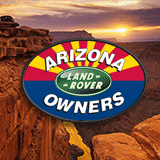 I think that used Land Rover prices are a relative value compared to the others. Consider that you may be able to buy similar year and mileage LR3 for less and leave $ in a maintenance / upgrades account. Good luck, whatever route. 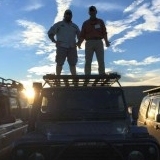 Oh, lots of good discussion on Expo portal / Land Rover forum ( www.expeditionportal.com/forum/forums/24-Land-Rover ).